Guru Labels are one of Australia's leading manufacturer and supplier of Asset Labels. 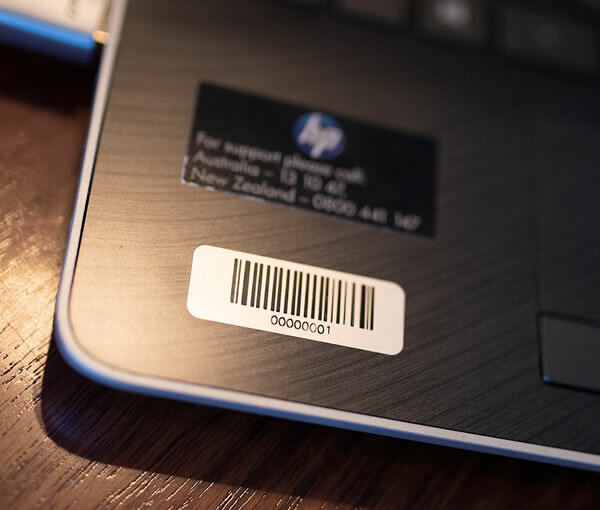 Asset Labels are widely used by used by companies, educational establishments and government organisations, as a way to label, track, monitor and deter theft of your equipment. 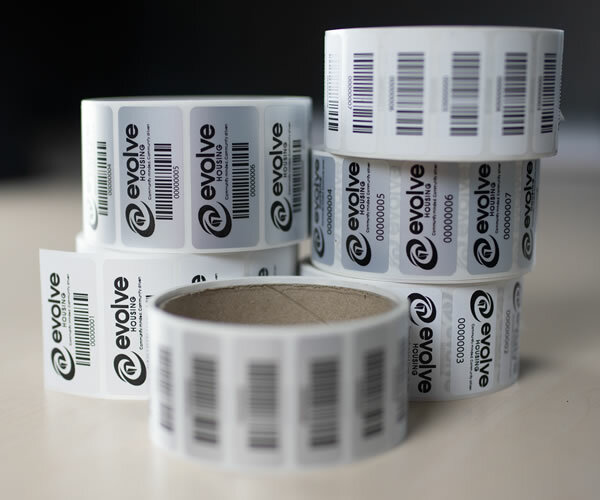 Asset Labels can combine a wide range of information including company name, logo, text, variable barcodes and numbering alike. We choose to print our Asset Labels using thermal transfer technology which delivers long lasting variable data print to a wide range of quality raw materials. Supplied on easy to use rolls, we manufacture our Asset Labels on high quality raw materials such polyester guaranteeing your Asset Labels perform faithfully even under extremely harsh conditions. Guru Labels investment in state of the art print and finishing equipment directly underpins our ability to offers the widest range of print solutions in house. Our Roll2Roll digital labels are print on our Xeikon 3030 presses that print CMYK+W in 1200 dpi. Being the manufacturer (not a reseller) we can offer you the full compliment of self adhesive labels solutions at a fraction of the price you would expect to pay without injuring excessive set up costs bound to traditional label printing. We offer 3 standard designs available in matt white and matt silver stock.